It is one of my goals for 2019 to attend a Letter Writing Social. I’ve decided that if I can’t find one near me or travel to one in a different city, then I will host my own somewhere in Minneapolis or St Paul, Minnesota. 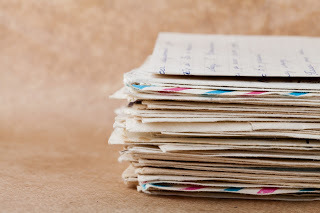 What is a Letter Writing Social? I can only offer my best guess since I haven’t actually been to one, but in my mind, it is a gathering place where the host provides supplies, tools and resources for those who want to gather and create some mail – a letter, a postcard, a typed note – something personal and creative. Ideally, the setting is conducive to letter writing and having a few typewriters sitting around for people to use is certainly aesthetically pleasing, while also serving as a functional tool. Do you know of any other Letter Writing Socials? Have you been to one before? Would you like to attend one? What do you imagine they’re like? I’d love to hear from you and get your input on this.